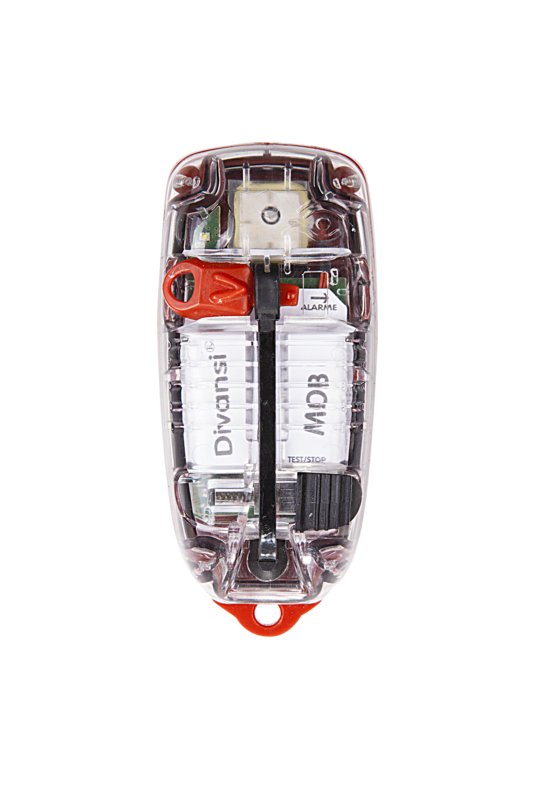 The Divansi beacon immediately sends an alert to a local receiver (vessel) if a MOB event occurs. The MOB can be followed by the receiver in real time thanks to the built-in GPS. The beacon will activate automatically by means of full inflation of the lifejacket.